Glow in the dark with this "buy me a shot" design. Make the bachelorette stand out at the party with this custom design. Add art and her name. 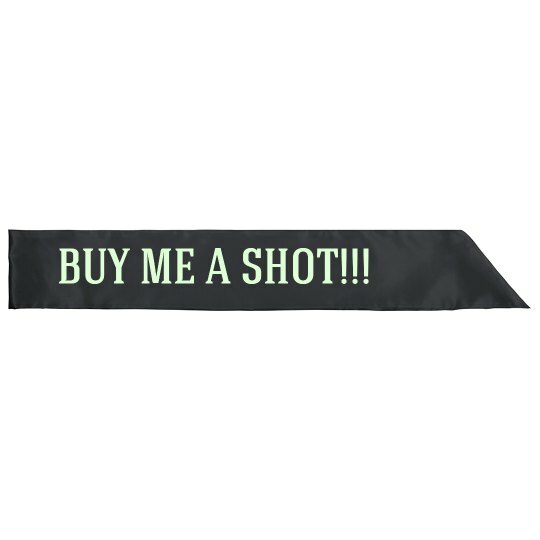 Custom Text: BUY ME A SHOT!! !